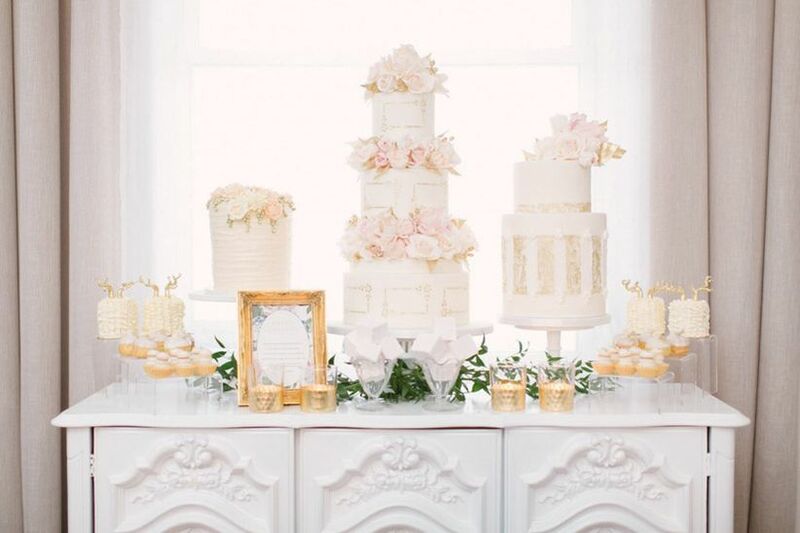 Wedding Cakes 101 | Wedding Ideas ARE YOU A VENDOR? 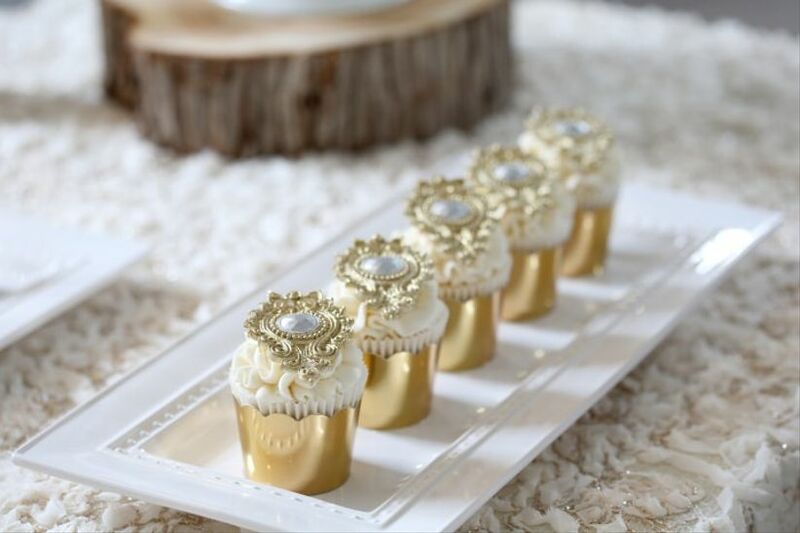 Selecting the perfect confection is definitely the tastiest aspect of wedding planning. Here are a few tips that’ll help you get the cake of your dreams. 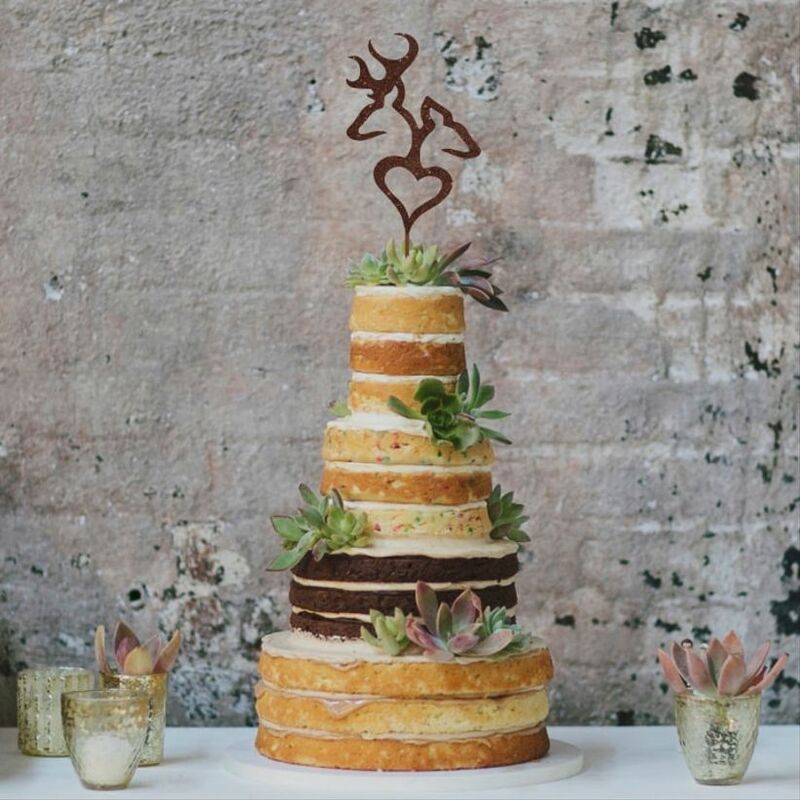 After spending months trying to whip your body into shape for your big day with burpees, stair climbing and crunches you will be rewarded with one of the most decadent treats: your wedding cake. 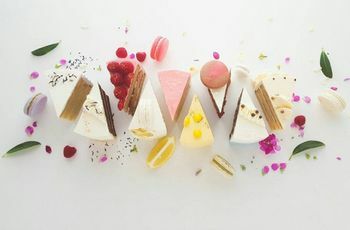 While choosing flowers, favours, venues and invitations may be fun, selecting the perfect confection is definitely the tastiest aspect of wedding planning. Here are a few tips that’ll help you get the wedding cake of your dreams. 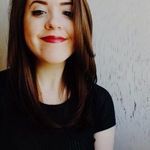 Watch some Cake Boss reruns, check out our wedding cake vendor galleries, scope out the social media of local bakeries to see what’s available in your hometown - do whatever you’ve got to do to get inspired. From classic designs to contemporary takes, there’s plenty of styles to choose from and one is bound to fit the theme of your big day. Once you’ve got a bit of a vision, you can move on to consulting the experts that can turn it into a reality. 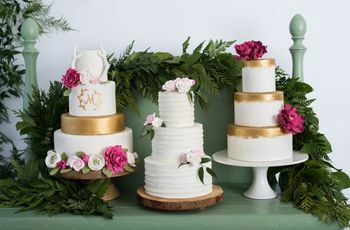 Cakes can cost a pretty penny, especially if they involve multiple tiers, fresh flowers and/or the work of a kickass decorator, so you’ll want to nail down your budget ASAP. Got a lot to spend? Go for that grand, five-layer buttercream masterpiece you’ve been lusting after. However, if you’re trying to be a bit more fiscally responsible, you’ve got options beyond DIY-ing your own cake. Cupcakes and cakes with faux-tiers are go-to’s for those trying to keep their purse strings tight. This is what it’s all about. Choosing your wedding cake gives you ample opportunity to indulge, so why not try out everything you possibly can. Test the goods at a few different bakeries until you find the best of the best. After all, what good is a pretty cake if the taste doesn’t stack up? 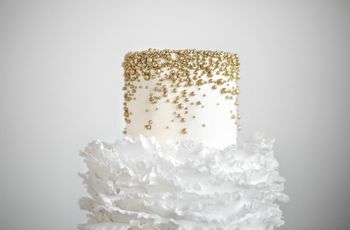 While focusing on the beauty and flavour of your wedding cake is important, you should also be considering its size. Are you planning for your cake to feed all your guests or are you willing to purchase extra goodies on the side? 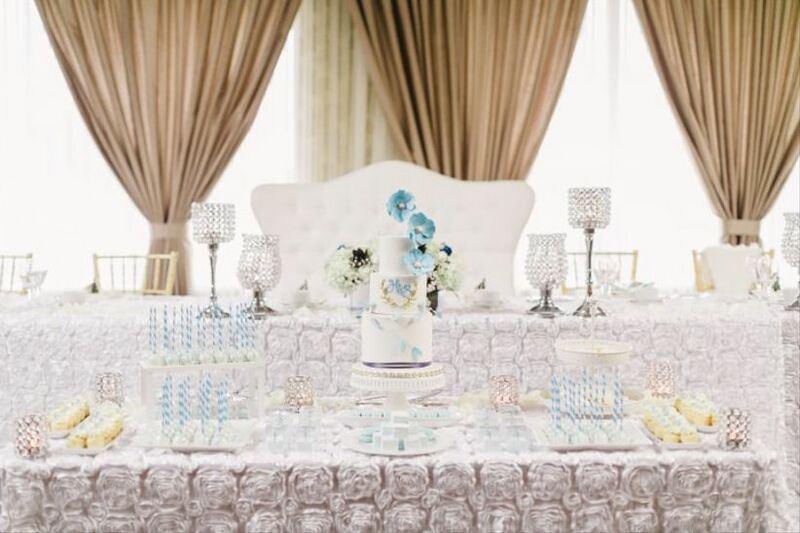 Some couples purchase a few sheet cakes for extra volume while others opt for sweet tables (where the cake acts as the centerpiece and is surrounded by smaller confections). Plan this out before getting too attached to a design as it will come with a price tag. Planning to have your wedding outside on a scorching hot day in August? Chances are your buttercream-clad cake won’t fare too well. To avoid a potentially devastating situation, get to know your frostings. Fondant can usually withstand heat while whipped frostings will melt away when it gets warm. Your decorator will more than likely let you know this, but it’s always good to come prepared. Even if you think you know exactly what you want, you’ll want to have a chat with your decorator before they get down to business. Though you may have found your ideal design in the pages of a magazine, he or she can probably make it even more suited to your wedding. Bring along some invites, photos of your proposed decor and dress, or anything else that you think may be useful. Adding a touch of personalization to your cake is simple with the help of a topper. 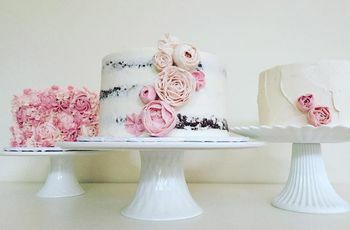 Throw on a family heirloom, get your florist to top the cake with a personalized bouquet, turn to Etsy for something unique or get your decorator to craft something interesting out of sugar or chocolate. Options are pretty much endless. Okay, so this step is not super enjoyable but it is totally necessary. You’re going to want to make sure that your bakery of choice can actually get your cake done for the day you want it. If your decorator is in high demand you’ll want to give them your wedding date as early as possible so that you don’t miss out on that Instagram-worthy creation. • How early in advance will the bakery be crafting your cake? • How many wedding cakes has the bakery done in the past? • Do you offer vegan and/or gluten-free options? • What are the insurance policies regarding wedding cakes? • Will there be a delivery fee? When will you deliver the cake and set it up? • Do you provide a cake stand? If not, what size should we get? Depending on what you’re looking for, you may have more to ask. Write everything down before you head to a consultation. Saving the top tier of your cake for your first anniversary is a tradition you may want to get in on. This involves a little bit of planning, so remember to ask your baker about airtight wrapping for freezing and make plans for getting the cake from point A (your wedding venue) to point B (your home). If don’t want to save that top tier, you can always request a more modest-sized duplicate of your cake for when your anniversary rolls around.